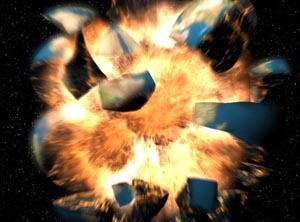 Welcome to the End of the World edition of Freaky Friday News! Assuming that the world magically survives until tomorrow, I rashly gathered the funniest and freakiest news to share with you to read over the weekend. Without further ado, on to the first story..
Not really. This video was created by four students in an animation class in Montreal as the final project of the semester. While they put the video up as part of the assignment in a attempt to gather feedback, I don't think the students expected the viral explosion that boomed afterwards. Several people thought the video was real, passing a link to the video around with warning about the golden eagle. Local ornithologists even started to analyze the behavior of the bird, complaining because that type of eagle is almost never seen in Montreal. Personally, I think the video shows talent and imagination from these students, and I sincerely hope that they got an A+ for this course. Toilets Controlled by A Smartphone??? That's right. 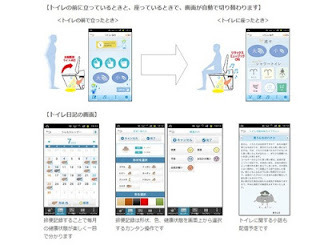 The Japanese have done it again, creating a new type of toilet that accepts commands from an Android smartphone. (An iPhone app will be available soon.) You can raise or lower the lid, raise or lower the seat, flush the toilet, start/stop the bidet, and pipe music from your phone to toilet's built-in speakers. This toilet also lets you control the amount of water used by the bidet or when you flush, and it even can track your bowel movements. Here are the instructions for using the toilet. 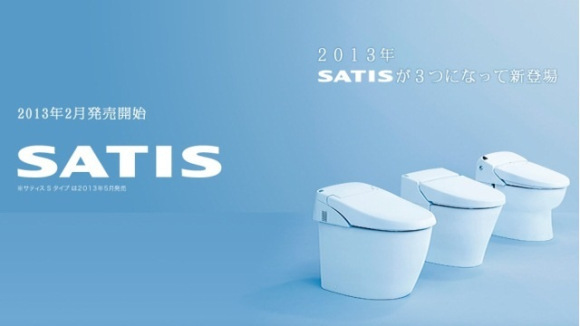 These toilets will be available for sale in March of 2013. For Those Without a Smartphone, How About Toilet Games? In related news, earlier this year Sega has released the Toylet, a gaming system that hooks up to a urinal, with a targeting spot and a video screen. The urinal user selects which game he wants to play, then tries to hit the targeting spot with the proper force and volume. Yes, I am saying that someone has turned peeing into a video game, with the urinal as the video game controller. I'm not saying that there is anything wrong with imbuing more fun into such a necessary activity. But I do wonder, who first thought to himself, "Hey, I'll bet I can play a video game with my urine." If you want to purchase one (and you can read Japanese), you'll find all the information at the Sega Toylet website. As for the bathroom commode fixations of the Japanese...I'm just...speechless. And grossed out.